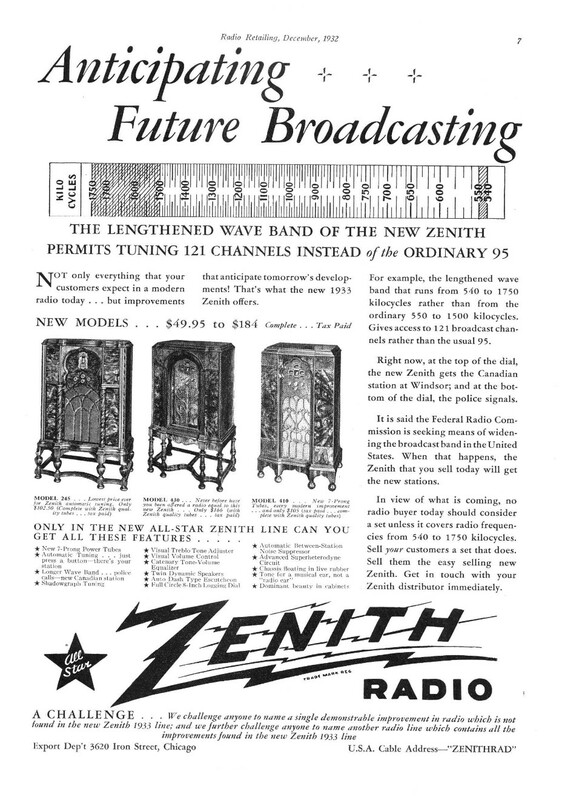 planned for release by Zenith between 1932 and 1934.
price, quality radios" first introduced by Zenith in 1931.
emblazoned with the Zenith rather than Zenette logo. See my model L page for more information. 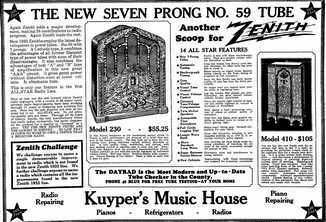 being one of the first sets to use the "new 7-prong No. 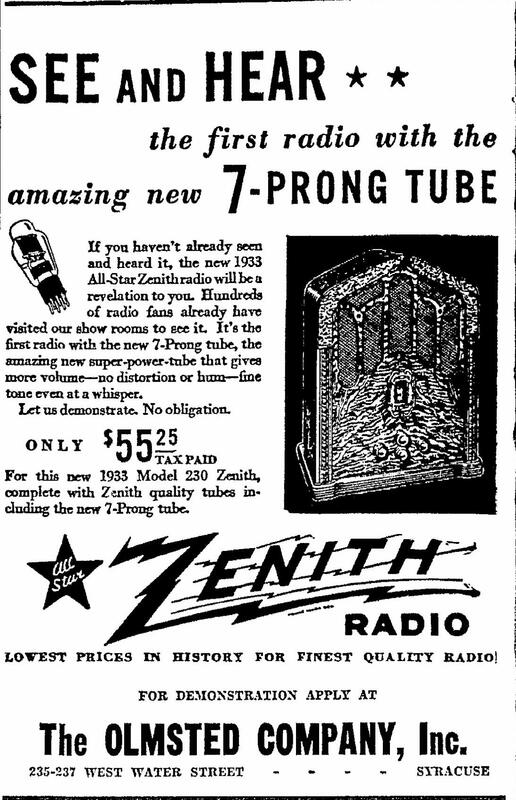 59 tube", a triple-grid power tube similar to the type 47.
tube was never widely adopted however. 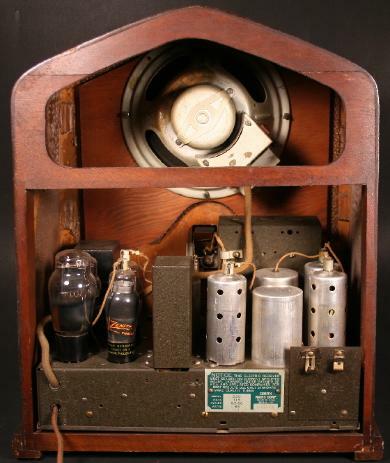 (AF power tube, pentode connected) & 80 (rectifier). The schematic is here, courtesy of NostagiaAir. 1750kc, rather than to the 1500kc standard of the time. 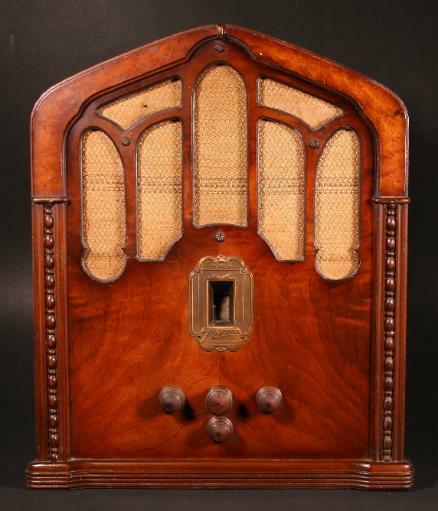 The first radio with the amazing new 7-prong tube! 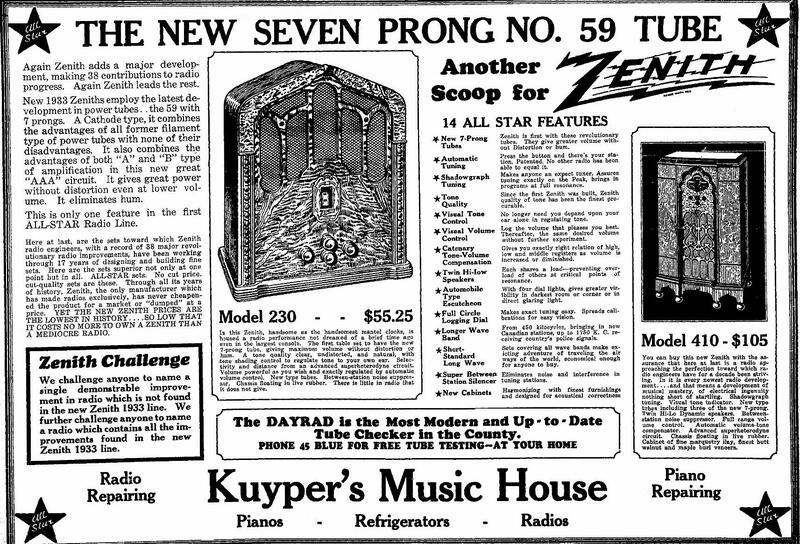 1933 "All Star" Zenith will be a revelation to you. tone even at a whisper"